Calendula officinalis - Natural Health - Lancaster and Preston . 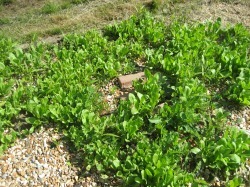 The marigolds used in herbal medicine are Calendula officinalis (not to be confused with Tagetes - French Marigolds). 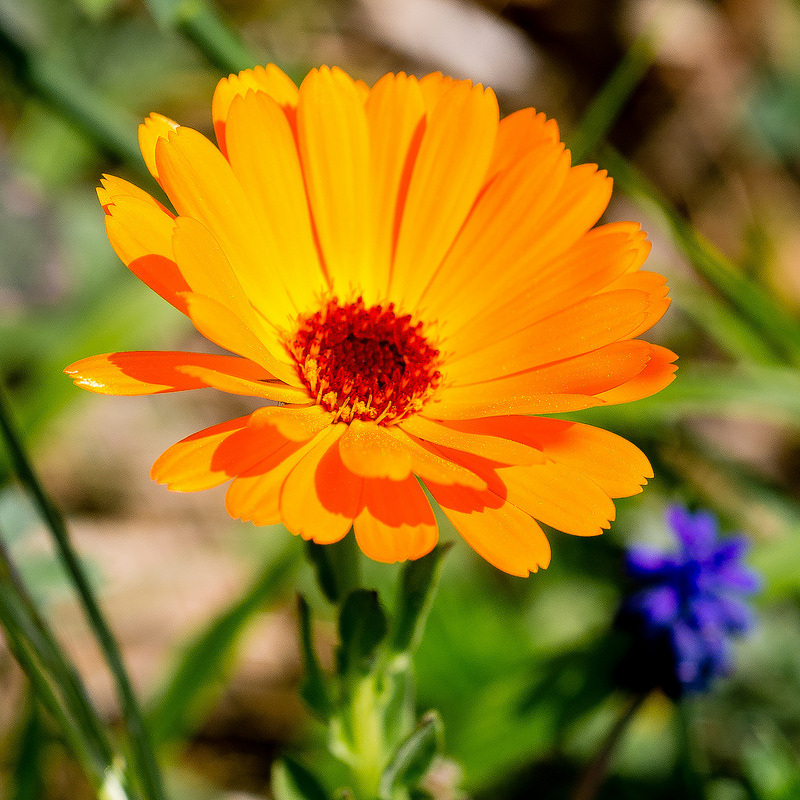 Calendula flowers have a wide variety of actions including anti-inflammatory, vulnerary, immune stimulant, anti-fungal and lymphatic. As an anti-inflammatory it may be used by medical herbalists alongside other herbs in the treatment of peptic ulcers (gastric and duodenal) and diverticultis. Externally the anti-inflammatory actions make it useful for nappy rash, eczema, cuts and dermatitis. 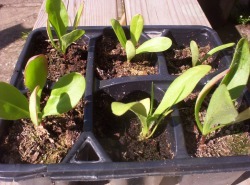 Calendula can be sown straight into the soil, in seed trays or module trays. 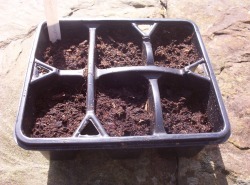 When sowing in trays cover the seeds with 1/4 inch of compost. The seeds were sown straight into the soil. 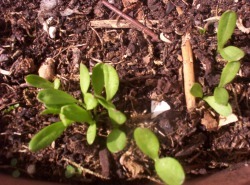 As you can see Calendula is a dicotyledon, meaning that it has two seed leaves.